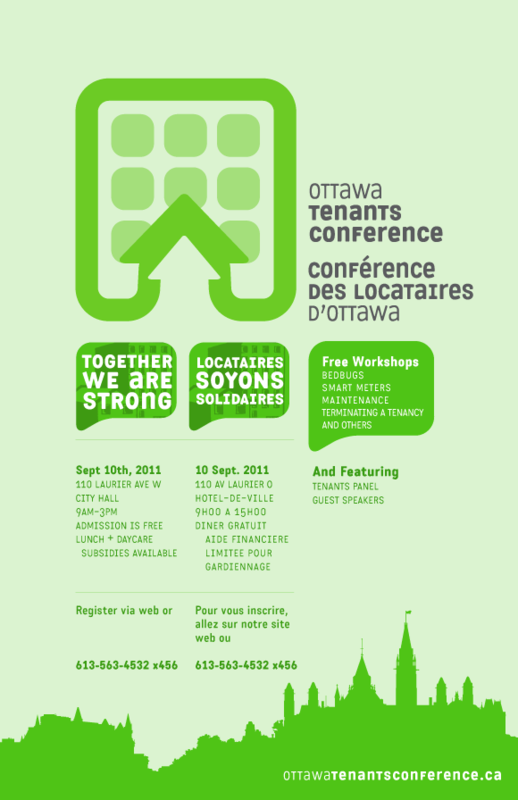 The Ottawa Tenants Conference is an annual event that provides information to renters about legal and social issues concerning housing in Ottawa. I established the communication strategy for raising awareness about the event. As well, I designed the visual identity that was used throughout the website, posters, and other promotional materials.